Mullery auctioneers has recently brought to the market a spacious four bedroom semidetached residence in Tudor Lawn, Newcastle. This mature and highly regarded development was built by O’Malley and comprises a mix of detached and semidetached homes. Number 83 is superbly positioned towards the top of the development and is presented in excellent decorative order throughout. The property benefits from oil fired central heating, PVC double glazed windows, upgraded wall insulation, built-in wardrobes to the bedrooms, and a fireplace with a back boiler. The wonderfully bright and well-proportioned accommodation comprises porch, hall, living room, kitchen/dining room, guest wc, four bedrooms (master en suite ), and bathroom. Outside there is a front garden and driveway and to the rear is an enclosed garden with block built shed and lawn. Tudor Lawn is a superior residential development with a mix of Tudor style and brick fronted homes on an elevated site with excellent green areas and landscaping throughout. The location is first class with all amenities nearby including Dangan Sports Ground, Bushypark National School, IDA Business Park, and it is just a short stroll from NUIG and UHG. 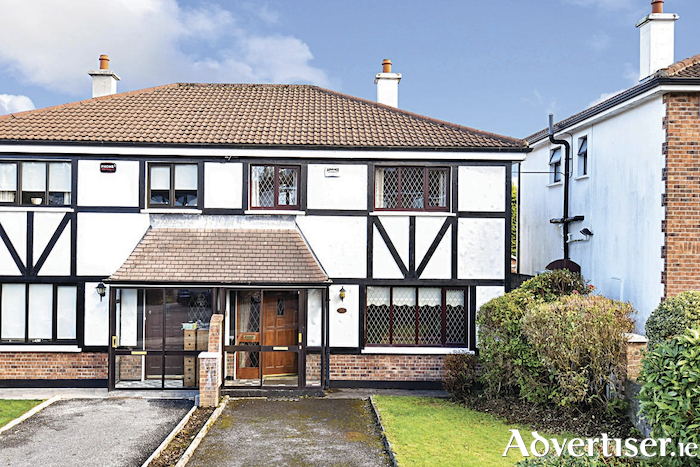 This superb residence would be a wonderful family home close to local schools and amenities. It would also be suitable for investment or indeed those with children attending the university. For full details see www.mulleryauctioneers.ie or call Mike Mullery of Mullery auctioneers on 091 567275.